Joana Sousa Monteiro has been the director of the Museum of Lisbon since 2015 and President of the International Council of Museums (CAMOC) since 2016. 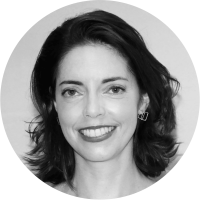 Joana has a degree in History, with specialisation in History of Art from the Universidade Nova, and a postgraduate degree in Management and Creative and Cultural Entrepreneurship from ISCTE – Instituto Universitário de Lisboa. Prior to that, Joana was Councillor for Culture of the Lisbon City Council (2010-2015) and Joint Coordinator of the Portuguese Museum Network (2000-2010).